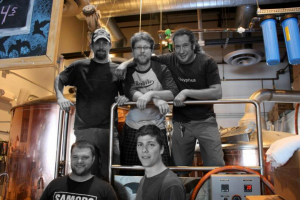 We started out at our original brewpub on a used 15-barrel brew house held together by duct tape and determination. That original brewery is still kicking out fresh, innovate beers while our new, state of the art production brewery and tasting room on S Presa brews all of the beer we distribute. We don’t make the claim of being the hoppiest, funkiest, strongest or “anything-est” brewery… but we do pride ourselves on making great beer backed an open, honest and transparent business philosophy. 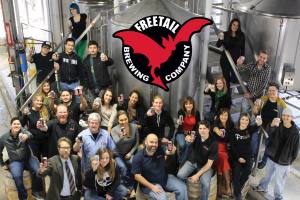 We’re named after the Mexican Free-tailed Bat, the Official Flying Mammal of Texas. No joke! 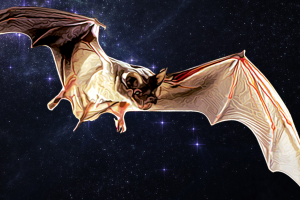 Did you know that Bracken Cave just north of San Antonio is home to the largest colony of free-tailed bats and one of the largest concentrations of mammals in the world? An estimated 30 million little guys call the San Antonio area home, gobbling up pesky insects and safeguarding our agriculture system. Just like their namesake brewery, free-tailed bats are tiny, but they have a huge impact on the community. Meet the hard working folks who strive to bring you so much pleasure.